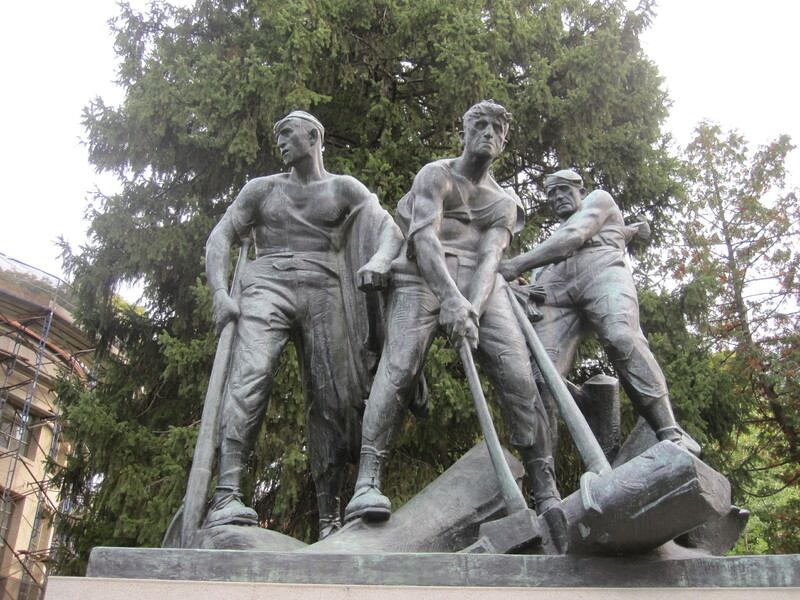 I was invited to Bangor High School to do my sound slide show and reading called “Children of War.” I found myself in a fascinating city way up north on the Penobscot River, the former “lumber capital of the world.” The three log-drivers in the statue called “The River Drivers” honor the men of the Maine highlands who drove lumber down the Penobscot to one of Bangor’s 300 mills. On this day, classes of contemporary Bangor teens gathered for my talk in the lecture hall. Nancy Watson, the extremely accomplished librarian of the school, invited Global Issues Seminar students, World History, Geography, and English classes and their teachers. I came to tell the group about children and families around the world who are displaced by war. Portland a few hours away is the home of many kids resettled from wars. Nancy had told me that few immigrants or refugees were in this school. I asked the students to raise their hands if they were born in Bangor. Nearly all raised their hands and others indicated they were born in other Maine towns, though I met several Asian students. 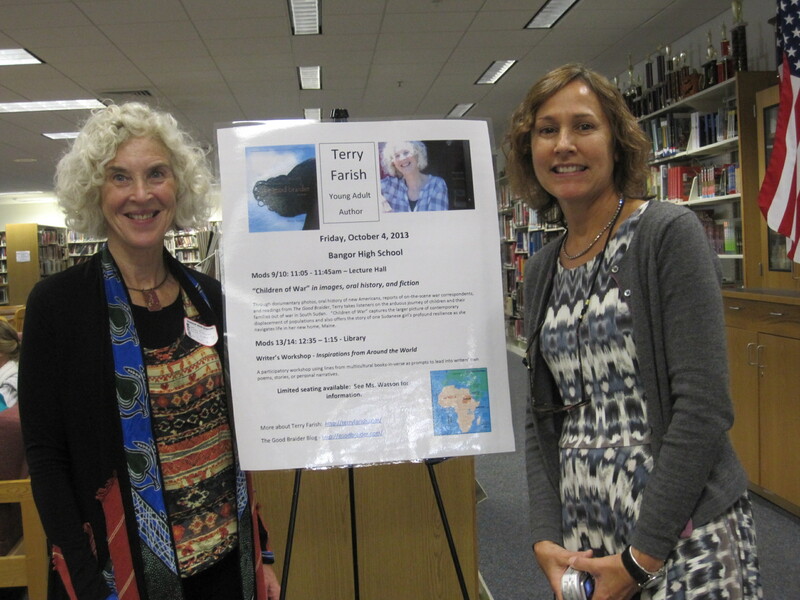 With the help of music by South Sudanese musicians, and documentary photos, and readings from my book, we went on a journey. Nancy and other teachers said the program was a way to connect students to world cultures and even other parts of Maine. And it was an honor for me to step into the world of Bangor, both in history and with teens today. Thank you, Bangor.